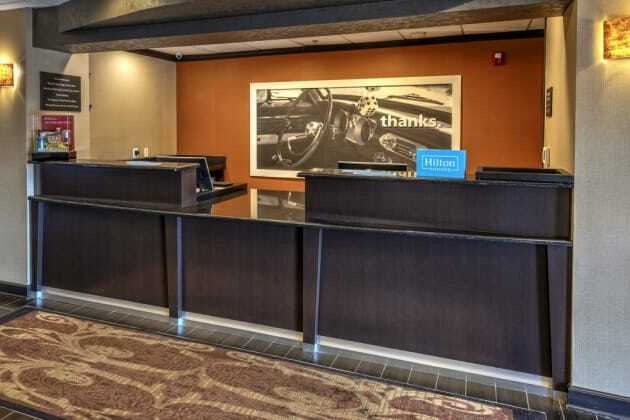 Located in Plainfield, Hampton Inn Indianapolis-SW-Plainfield is a 3-minute drive from Chateau Thomas Winery and 6 minutes from Capitol Sports Center. This hotel is 10.6 mi (17 km) from Lucas Oil Raceway and 15.2 mi (24.4 km) from Indianapolis Zoo. When you stay at La Quinta Inn & Suites Indianapolis Airport West in Plainfield, you'll be near the airport and 5 minutes by foot from Chateau Thomas Winery. 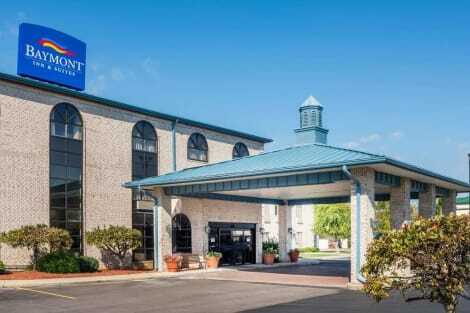 This hotel is 11.3 mi (18.2 km) from Lucas Oil Raceway and 14.7 mi (23.6 km) from Indianapolis Zoo. Located in Plainfield, Comfort Inn Airport is a 2-minute drive from Chateau Thomas Winery and 7 minutes from Capitol Sports Center. This hotel is 11.4 mi (18.4 km) from Lucas Oil Raceway and 14.8 mi (23.8 km) from Indianapolis Zoo. Located in Plainfield, Best Western Plus Atrea Airport Inn & Suites is in the business district, a 2-minute drive from Chateau Thomas Winery and 5 minutes from Capitol Sports Center. 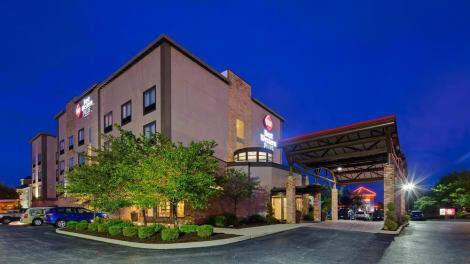 This hotel is 11 mi (17.8 km) from Lucas Oil Raceway and 14.4 mi (23.1 km) from Indianapolis Zoo. Enjoy a range of recreational amenities, including an indoor pool, a spa tub, and a fitness center. Additional amenities at this hotel include complimentary wireless Internet access, a fireplace in the lobby, and a picnic area.